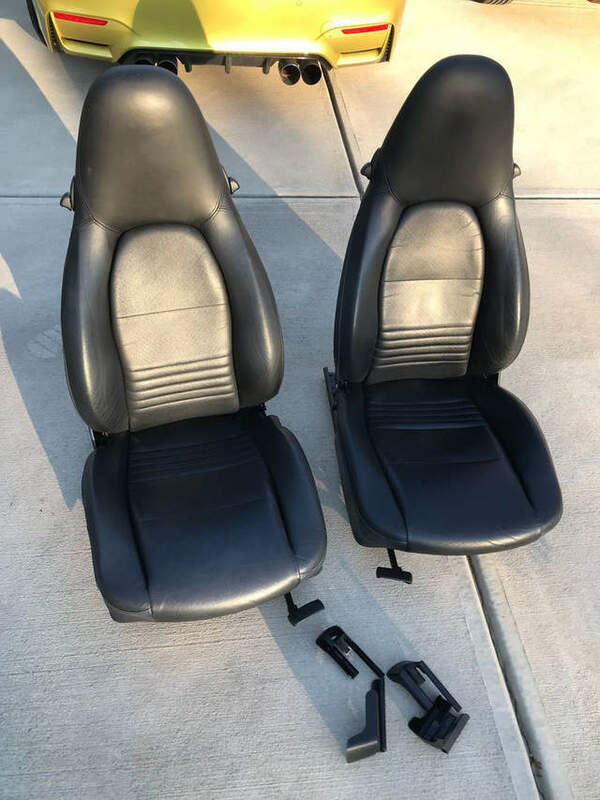 Just got a great deal on some seats my mechanic had laying around so selling the stock seats he pulled out. They are the electronic adjustment for the top of the seat, with manual slide forward/back and up/down adjustment. Non-heated. Very good condition for 1998! (60,000mi on car). No rips or tears, typical wear, one area on passenger headrest that looks like some sort of deep scratch? Last edited by TTGator; 03-19-2019 at 07:09 AM. Very fair price, shipping cost is the wild card. Good luck with sale. I'm in the market for tan seats. Remember that the seats can easily be broken into pieces to make shipping easier. I posted assembly instructions in the DYI section years ago. Also, I you ship without the seat tracks, the rest isn't even that heavy!